The publishment of a book mostly depends if a reasonable sale can be expected. Chessbooks are therefore mainly written for the average player. This chessplayer expects of openingbooks some ideas immediately ready for implementation in his tournament-games. So an author will often brighten up the analysis to comfort the readers. The Australian grandmaster David Smerdon on his blog believes this is acceptable as standard chess is something very different from top-correspondencechess. I am often claiming to always seek the truth and play scientific chess but despite all good intentions I also realize that some subjectivity remains. I often catch myself looking a tad harder for improvements for the color which I would like to play. I don't want to throw away an opening for the smallest problem if I built up already quite some experience. Besides another opening doesn't mean necessarily less problems. A similar sound can be heard in an interview with Michael Adams at Shamkir a few months ago. Introducing ideas can be an elegant method to bypass these little problems. However from my previous article you can deduct such experimenting with new ideas doesn't always bring relieve. I tried in the meanwhile already 4 different systems in standard games against the modern french but still no satisfying results. Maybe it is time to try a very different approach by deploying a strategy covered in an older article switching colors. What can't be refuted is maybe better joined and played. Easier said than done as I am not eager to start playing the French in my repertoire. MNb rightfully remarked that the cure could be worse than the disease. For this problem I believe to have found a solution as e.g. in the Modern French. Let somebody else switch colors so you don't have to take risks and learn from his games. The reader is probably confused as how can you force somebody to switch colors. Well naturally we can't force somebody but by checking the database we can sometimes find a strong player willing to play both sides of a position. Surely you won't find such type of player always but I had luck in the Modern French with the young strong Turkish IM Burak Firat. Maybe some very attentive readers still remember this name from my article the modern french part 2 but I guess most people are completely unfamiliar with this player. The Turkish chess-federation was a decade ago very small but last years they made fantastic progress which many other federations can only dream of (like our Belgian federation). In 2006 suddenly 1,1 million euro was injected in Turkish chess and this didn't stop. A massive recruiting campaign started which at beginning of 2014 already gathered more than 350.000 members. Even more astonishing is that 1/3 are women. I understand a number of schools have introduced chess courses and this naturally drastically influenced the figures. We notice that the youth is getting the highest priority by the authorities as was reflected e.g. at the Olympiad with ages of teamaverages descending from 23 years to only 8 years old. Besides loads of medals at youth-championships for Turkey today we also start to discover the first players achieving norms and titles like Burak. 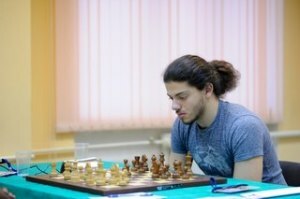 Burak is only 22 years old and he is seriously working to get the necessary norms for the grandmaster-title as we see e.g. in a closed grandmaster-tournament at Moscow. This should be sufficient as introduction of the player so time to see how he manages to switch sides as it is something very natural. So in total there are 17 games of which he took 11 times white and 6 times black. In his most recent games he demonstrates that it little matters which color he plays to win. I don't exaggerate if we look to his last game played with black. Even more impressive is his last white game against the Spanish international master Daniel Garcia Roman which he blows away in only 22 moves with mate! The games of players playing regularly both sides in an opening are often a very good reference to check if you have any problems. Those players know from experience what can be annoying for the other color. How do we find those type of players? Well I don't know any program that automatically detects this but a visual screening of the games from strong players often is sufficient to discover if any name pops up playing both colors. 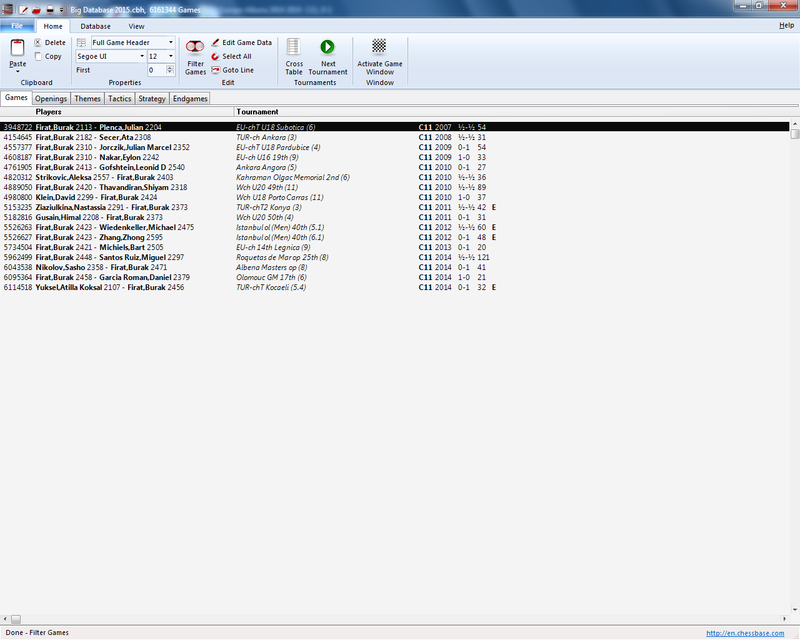 Some hints how to make an automatic process of this are welcome but I fear that my chances are low without possessing the extensive Chessbase database.